Aktiv Download Manager is a most needed tool to manage downloads, pause and resume downloads, queue downloads, or search for downloads. This program comes with an adaptive download accelerator, dynamic file segmentation, and multipart downloading technology to considerably improve the download process. It successfully reuses available connections without further connecting and login stages to get the best out of the download performance. You can schedule Aktiv Download Manager to download at specified intervals. You also have the freedom to set the maximum number of segments and the maximum number of simultaneous downloads which can go as high as 99. Furthermore, Aktiv Download Manager offers complete error recovery and resume capability. That means it can resume broken or interrupted downloads that occurred during lost connections, network problems, computer shutdowns. So you needn`t start downloading from the zero again. In addition to splitting files into smaller pieces, Aktiv Download Manager gets really busy on its automatic chase for faster mirrors. You’re going to love the way this software handles downloads, but the most important feature remains is the great speed. A well thought out interface, nice, clean, and intuitive makes it easier to have a good control over the app’s features. Its functionality lies in just a few clicks. NOTE: Does NOT include any spyware and adware! Automatic selection of faster mirrors. Nice, clean, and intuitive user interface. 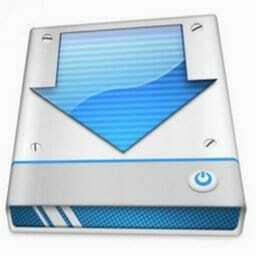 This product is a clone of Free Download Manager.